Do you want to connect any USB device with your Samsung Galaxy S7 or Galaxy S7 Edge Smartphone? 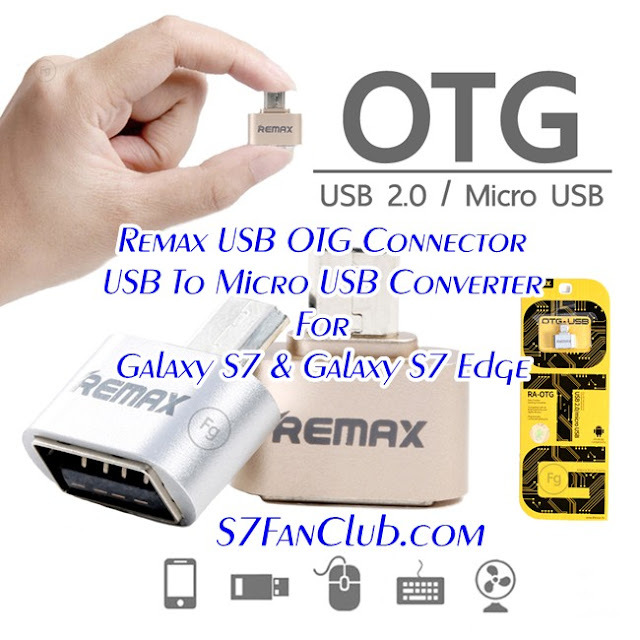 You can connect virtually any USB device with your flagship smartphone using Remax OTG connector that actually converts USB to Micro USB port. 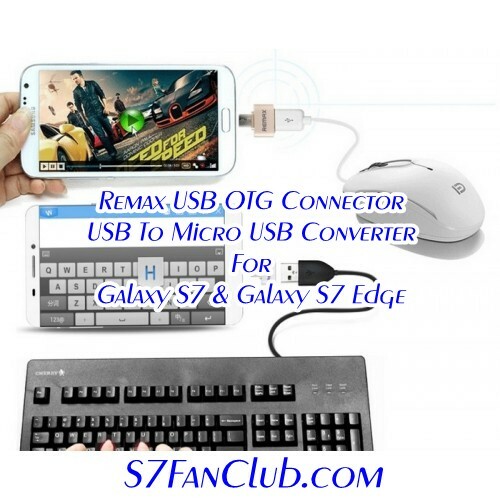 USB Devices that you can use with Samsung Galaxy S7 & Galaxy S7 Edge include USB Flash Drive, USB Keyboard, USB Mouse, USB Speakers, USB Headphones, Wireless USB Mouse & Keyboard, Wireless Headphones and USB Game Controllers. Check out the link to buy Remax Micro USB to USB Flash OTG Adapter.